This post was written in partnership with reebee. I read an article a while ago that estimated food prices will increase by up to 3.5% in 2019. Whoa. That works out to about $411 more per family this year, and bad news for those of us on a budget. People gotta eat though, so there are only so many options for saving money on your food budget. To start with, we can scale back or stop eating out entirely. I’m sure I could stand to cook at home a little more, but honestly having the occasional night off from cooking helps keep me sane. 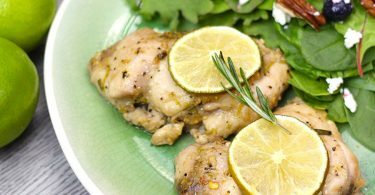 Strict meal planning can also help cut your grocery bills by reducing food waste, but the third (and easiest!) way is to shop smarter and spend less on groceries to begin with. That’s where the reebee app can help! reebee is a super easy way to collect all the grocery store flyers in your area in one convenient place so you can compare prices and get the best deals. You can either look through individual flyers or search for specific items on your shopping list to instantly comparison shop. On average, reebee users save over $3900 per year on groceries using the latest flyers and price matching on reebee. Nice! Everything is localized so you only see flyers for the stores you’ll actually shop at. You can either enter your postal code manually or let your phone’s GPS do it for you so your flyers move with you. And it’s not just groceries. You can browse flyers by category – grocery, electronics, home, children, etc. – or search for specific stores. 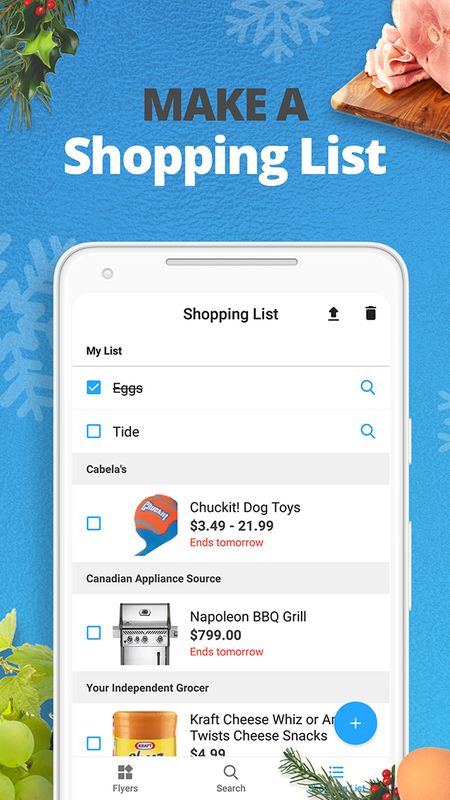 On my app, I can see all the nearby grocery stores plus my other favourite stores in the area like Best Buy, London Drugs, Canadian Tire, Rona, and IKEA. The app is intuitive and simple to use. You can either browse flyers or look for individual items. 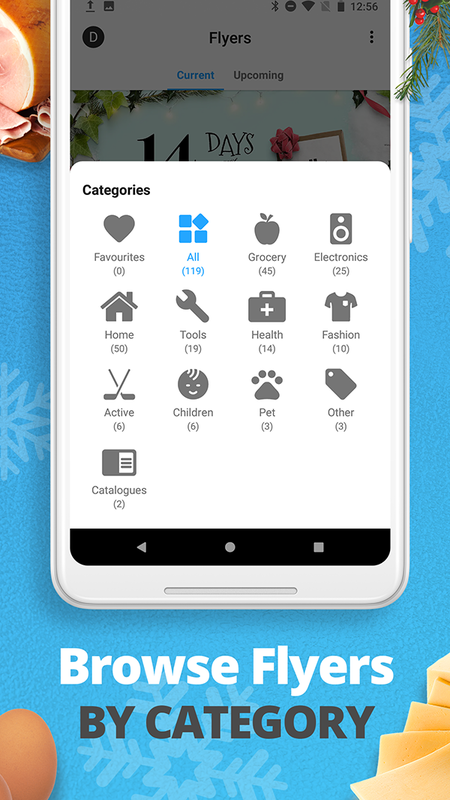 Search for any item, browse all the listings, and tap the plus sign to add your preferred deal to your shopping list. Everything on your list is organized by store, and I love that each listing shows when the price expires. reebee makes it really easy to plan my shopping for the week. One more thing I like is how online flyers reduce waste. Like a lot of families, we cancelled our local newspaper a few years ago. We rarely read it, and I didn’t like wasting all that newsprint, but I missed browsing through the flyers, especially for groceries and Boxing Day sales. With reebee, I can price match and create my shopping list in-app, all at the same time and paper-free. When I walk into Costco or Canadian Tire, there’s no need to grab a flyer at the door. It’s already on my phone! 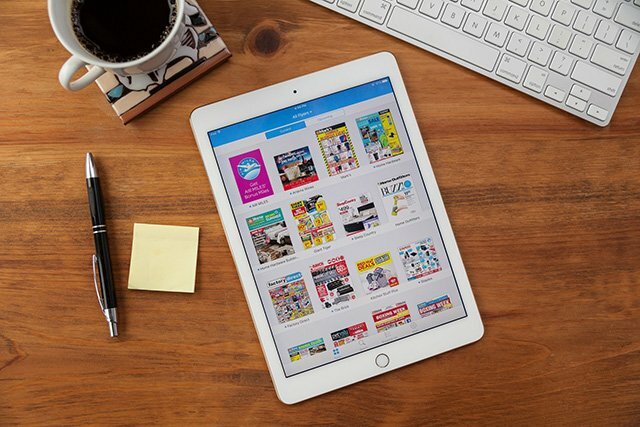 Whether you like to kick back on Saturday morning and price match all your weekend shopping online on your computer or tablet, or you prefer comparison shopping on the go on your phone, reebee can help. Make it your New Year’s resolution to save on your grocery bill this year! Head over to the App Store or Google Play and download the reebee app to get started. I have even more good news! I’ve got a $100 Visa gift card to give away to one of my readers for a little extra help on your next grocery shopping trip. Enter to win in the giveaway widget below. This giveaway is open to Canadian residents, 18+. All the winner’s entries will be verified. Celebrating Chinese New Year: Gung Hay Fat Choy! I use the Reebee app on Android. I like that it has a dark mode, has a lot of flyers, doesn’t require much personal info except for a postal code (which can be fuzzy), and is easy to navigate. I like that I can see upcoming flyers (as I like to plan ahead). I use the shoppers drug mart, Safeway/Sobeys, walmart and M&M Meats flyers the most. I don’t have the app but I’m going to try it. I like the idea that I can compare flyers easily to find the best prices. I like finding my favourite flyers, like RC Superstore, on the reebee site. I wouldn’t use an App so having the webpage is great! I use the Food Basics and Shopper’s Drug Mart flyers. I would use the Rebee app to view the Walmart and no frills flyers most often . I would also use it to find sales on items I need . The Flyer I really want to use is Walmart. I love how you can compare pricing to save lots of money!! I mostly love to use it for Giant Tiger, Walmart and Shopper’s Drug Mart!! I like that I’m able to compare prices between stores! I always shop at No Frills, Walmart, and Real Canadian Superstore. I would use the App for Dominion, Walmart and Shoppers. I would use the grocery store flyers the most. Especially Metro, Real Canadian Superstore and FreshCo since they are closest to home. I’m always looking for the flyer for the Real Canadian Superstore. I love the shopping list feature on the app. I’ve been using this app for a long time and love how easy to use it is. I really like that it has all the local flyers in one app for easy comparison. I would use the grocery ads such as real Canadian Superstore and shoppers. What a life changer! I love that you can see all local flyers, Create a shopping list and it breaks it out into stores. Of course, the price matching is amazing! So much time and money to save! Bummer! There are no flyers in my area. (Portland,OR) I do most of my shopping at Safeway, Whole Foods, and New Seasons Market. I love the Reebee App; love the ability to search flyers for deals and specifically in the region where I reside (and because I travel), I can amend my geographical location. I also love that I can sync it across devices and platforms. I love checking the flyers to see what is on sale and the best places to shop! I use Walmart often! I would definitely use the Co-op flyer. I really like that it sorts shopping list by stores. That saves so much time! I love that by comparing deals you can get the best ones! I am most likely to use Dutchies Fresh Market, FreshCo and Food Basics as they are all close to me. 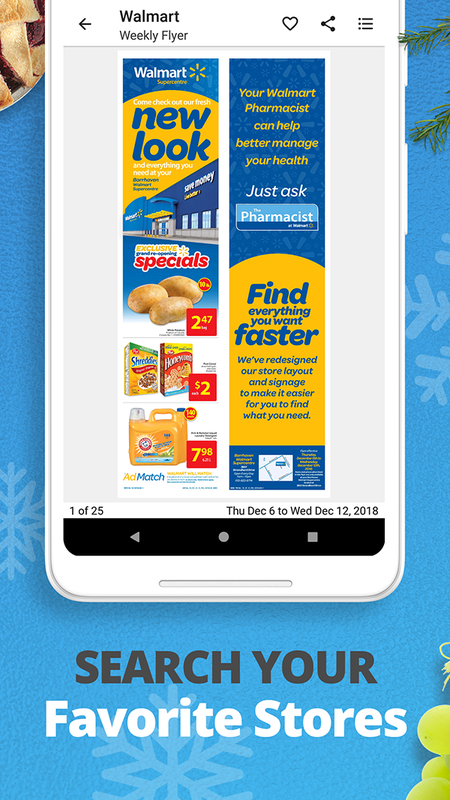 I would likely use the app to view Walmart and Real Canadian Superstore flyers. I would use the Walmart, Giant Tire, Canadian Tire and Sobeys flyers. I will download the reebee app to see how well it works. I love comparing prices before I get to the stores. My top flyers are Canadian Tire, Walmart and Superstore that I’d use on the Reebee app! I like that you are able to check out all your local flyers in one app and compare deals between them. I would definitely be viewing flyers such as No Frills, London Drugs and Loblaws so that I can take a screenshot and price match at Superstore! That way I’m not running around to various stores. It took me awhile to get used to using reebee but once I did I love that I can compare stores. I would definitely use all the grocery flyers…..Walmart, FreshCo etc…. I would use the ads for Real Canadian Superstore and Walmart. What I like about ReeBee is that you can search for a product and it gives you a listing of the sales of it at each store. I would be most likely to use the grocery store flyers and also Canadian Tire. It would help a lot. I am mostly likely to checkout the Walmart, Shoppers Drug Mart, and Rexall flyers! I would use the No Frills, Giant Tiger, and Co-op flyers on Reebee the most. the flyers that I am most likely to use are Safeway, Walmart, and Canadian Tire. I’d be most likely to use the Flyers for Real Canadian Superstore and No Frills. I love Reebee because it helps me to find the lowest price from all my local stores like Walmart, NoFrills, Sobey’s and Atlantic Superstore.